Have you heard of the Domestics? No? They’re an alt-rock band from Portland, Oregon, signed to a small label named Tender Loving Empire (TLE for short). It being hard to stand out from all the other indie bands in America, the Domestics, TLE, and their managers at Silver Morning Management just hit on an ingenious strategy to publicize the band’s upcoming album Little Darkness. 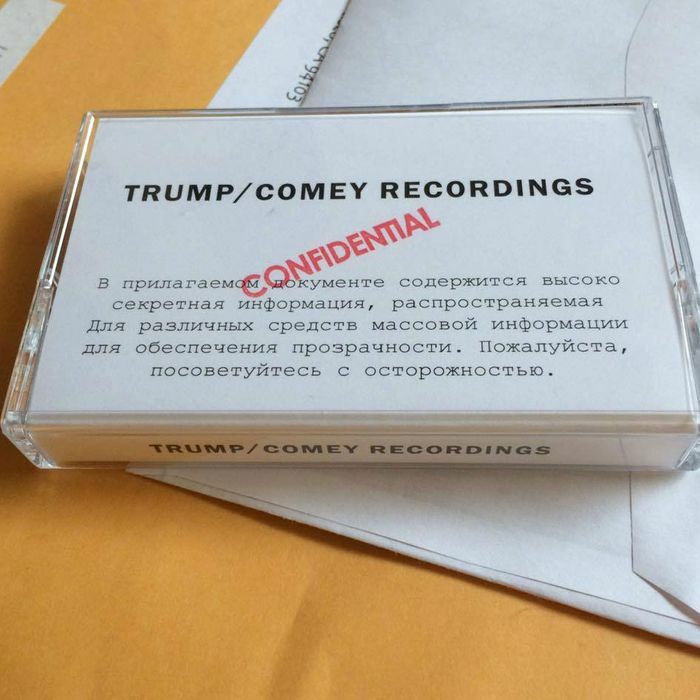 As Paste reports, cassette tapes labeled “Trump/Comey Recordings” were mailed to various music business honchos; the return addresses were for the Ku Klux Klan, Westboro Baptist Church, and Infowars, the right-wing conspiracy-mongering site run by Alex Jones. Various other little clues in the package were meant to lead people to discover that, in fact, the whole thing was a gonzo promotional stunt for their upcoming album. In one sense, the stunt worked. I mean, we’re writing about it. People eventually discovered that the whole thing was a gonzo promotional, etc., raising interest in the Domestics, an alt-rock band from Portland, etc. What the Domestics didn’t count on was the fact that not a few people in the music industry are Jewish and ended up being more than a little freaked out at receiving mysterious Trump-themed packages from far-right institutions. Though it’s possible that none of this seems funny to the average reader in the wake of the white-supremacist savagery in Charlottesville last weekend, rest assured that the band, at least, still finds it “hilarious and exciting” that the FBI may have been contacted regarding the entire disaster.